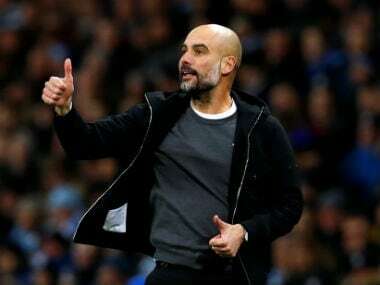 London: Manchester City striker Sergio Aguero will not face punishment from the Football Association following an altercation with a Wigan fan after the Premier League leaders' shock FA Cup defeat. 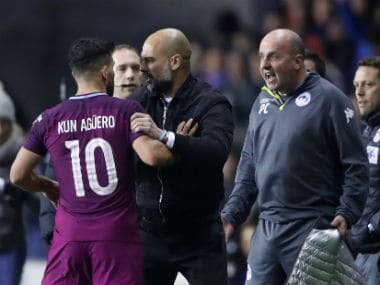 Aguero became involved in a physical exchange with a Wigan supporter as hundreds of fans spilled onto the pitch following the League One side's 1-0 victory in the fifth-round tie on Monday. 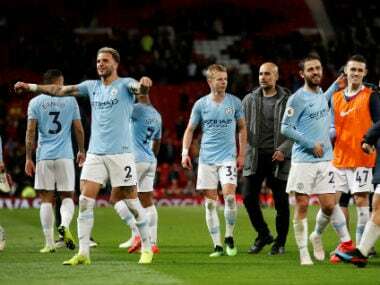 The Argentine will face no disciplinary action from the FA following the incident, although City's all-time record goalscorer has been "reminded of his responsibilities". 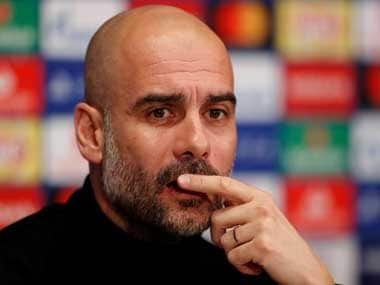 "Both Wigan Athletic and Manchester City have been charged for failing to control their players in relation to the dismissal of Fabian Delph during last night's Emirates FA Cup fifth-round tie," an FA statement said. "The clubs have until 6 pm on Friday 23 February 2018 to respond. "In addition, both clubs have been asked to provide their observations following the crowd trouble at the end of the game and have until Monday 26 February 2018 to respond." "Nothing happened in the tunnel, nothing happened with my colleague," the Spaniard said. "It was just 'please stay in your position', that's all, and then finished." Wigan earlier on Tuesday announced a full investigation into the crowd disturbances that marred the club's dramatic victory which came courtesy of a 79th-minute strike from Will Grigg, ending City's quest for a historic quadruple. "While we appreciate that the vast majority of supporters who ran on to the pitch did so spontaneously to celebrate a famous victory, we were disappointed with the action of a minority of supporters who acted in an inappropriate manner," said Wigan chief executive Jonathan Jackson. Chief Superintendent Stuart Ellison of Greater Manchester Police said such behaviour would not be tolerated. "As soon as people were on the pitch, we immediately deployed our resources to the front of the stands, where they were able to keep the two groups of supporters apart and prevent any further disruption," he said. Police added in a statement that no injuries had been reported.